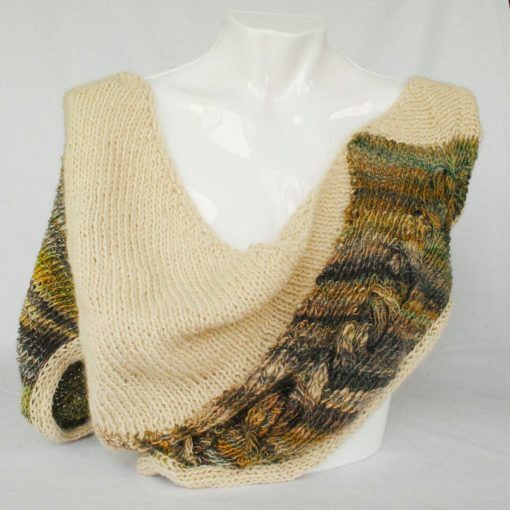 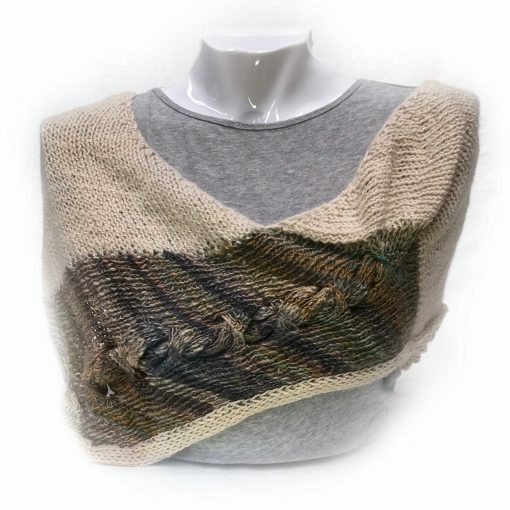 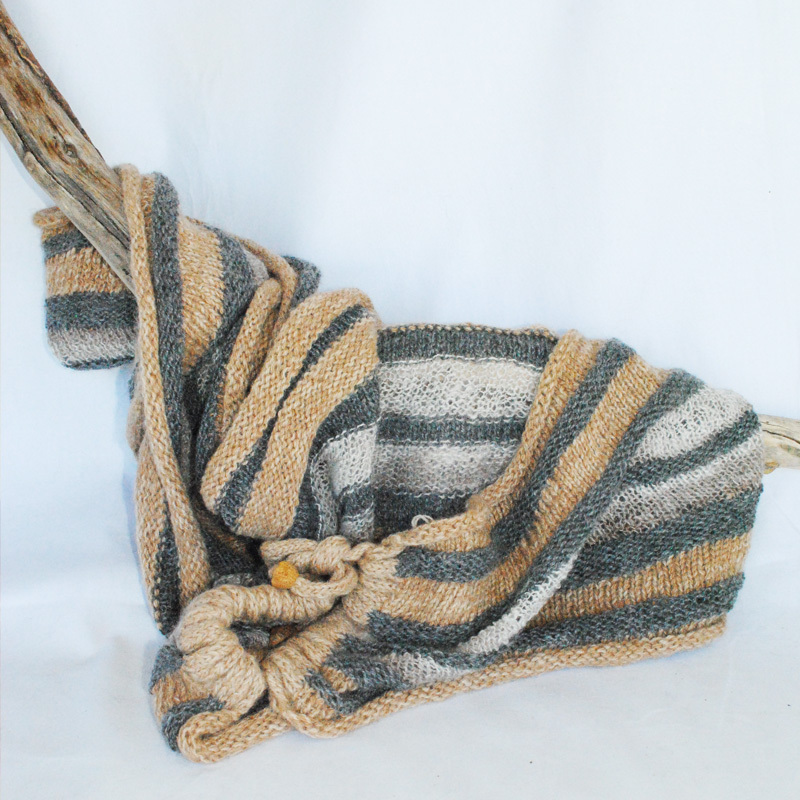 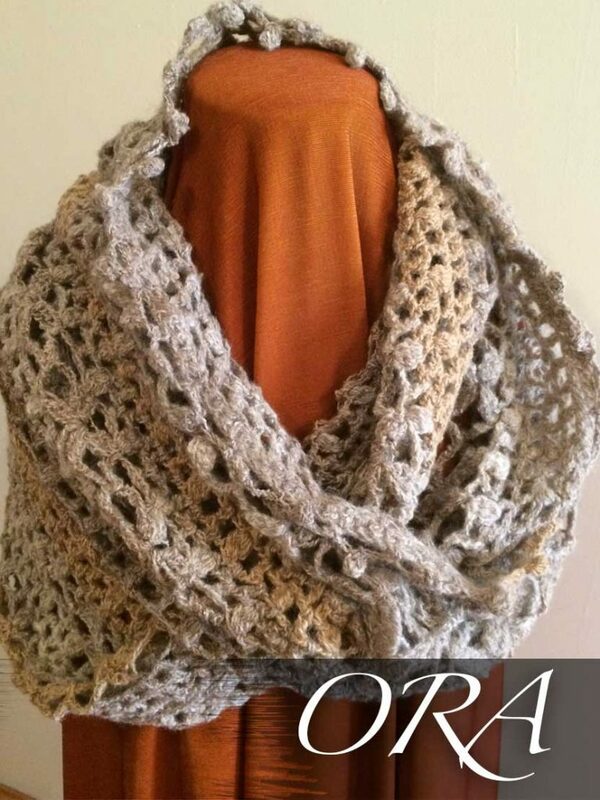 The Alpaca Cowl Shawl Cream Green and Grey has been created in a style designed to fall softly around the shoulders, can be teamed with a casual sporty outfit, worn with a “little black dress” or stylish black pants . Different knit textures add interest, balance and style to the soft, undulating shape of this Alpaca Cowl Shawl Cream Green and Grey. 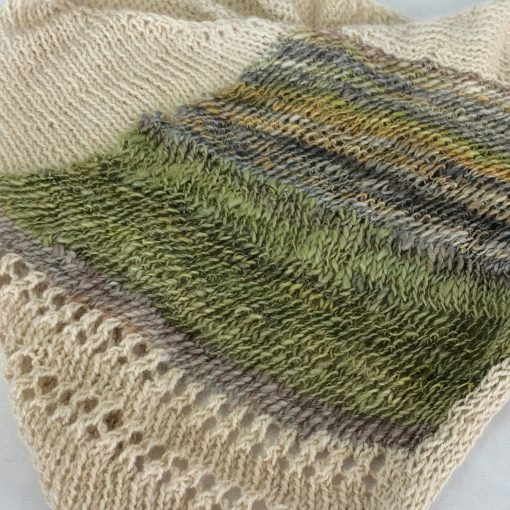 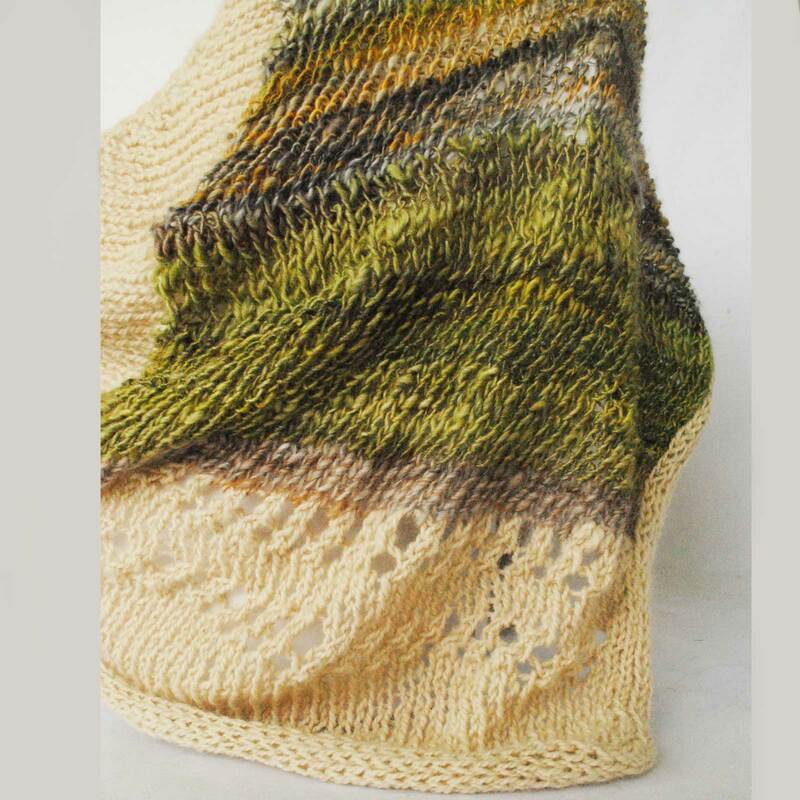 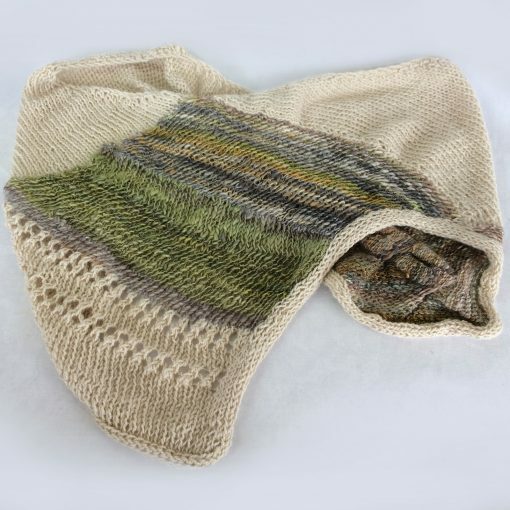 The Alpaca Cowl Shawl Cream Green and Grey falls elegantly from the shoulder ,the interwoven colours add design interest to both the back and the front of this soft draping garment . 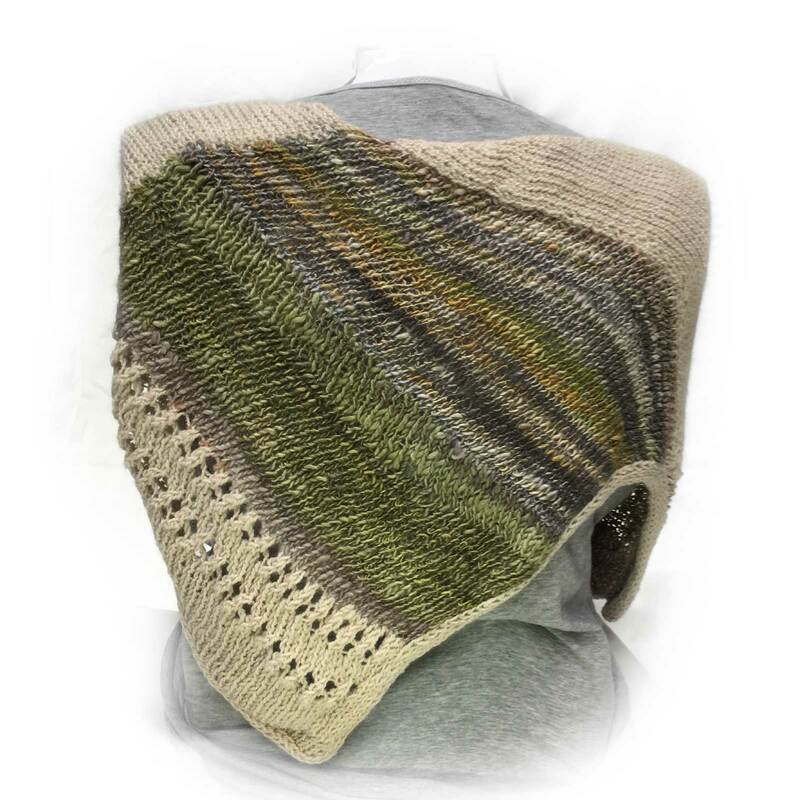 Mix and match the versatile Alpaca Cowl Shawl Cream Green and Grey equally well with warm creamy tones through to deep olives, greys and stylish black. 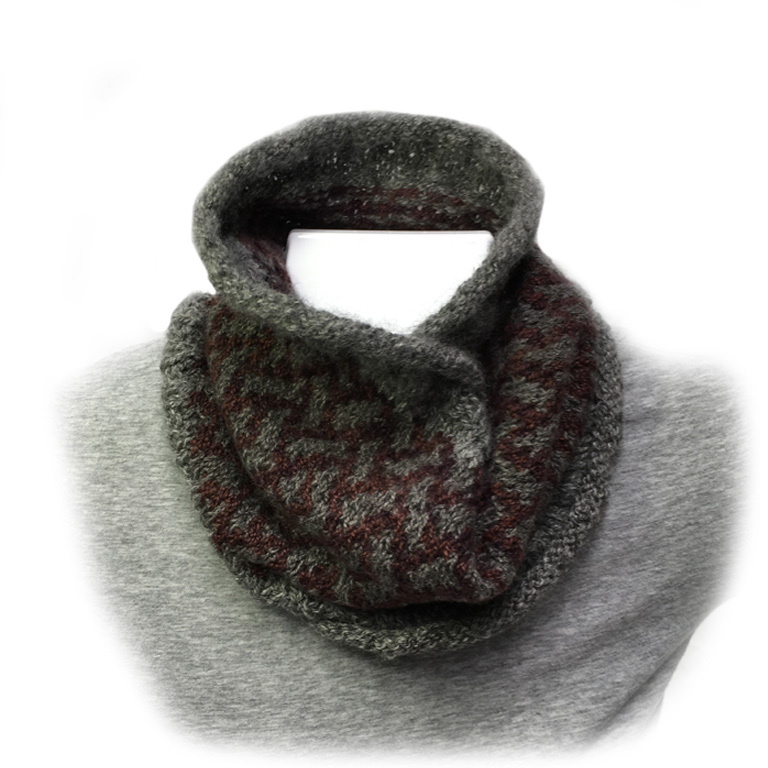 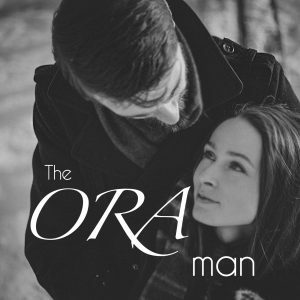 Our exclusive ORA Signature Yarns used are a natural winter-white alpaca yarn and a hand spun merino and silk yarn, hand dyed in olive and grey tones. 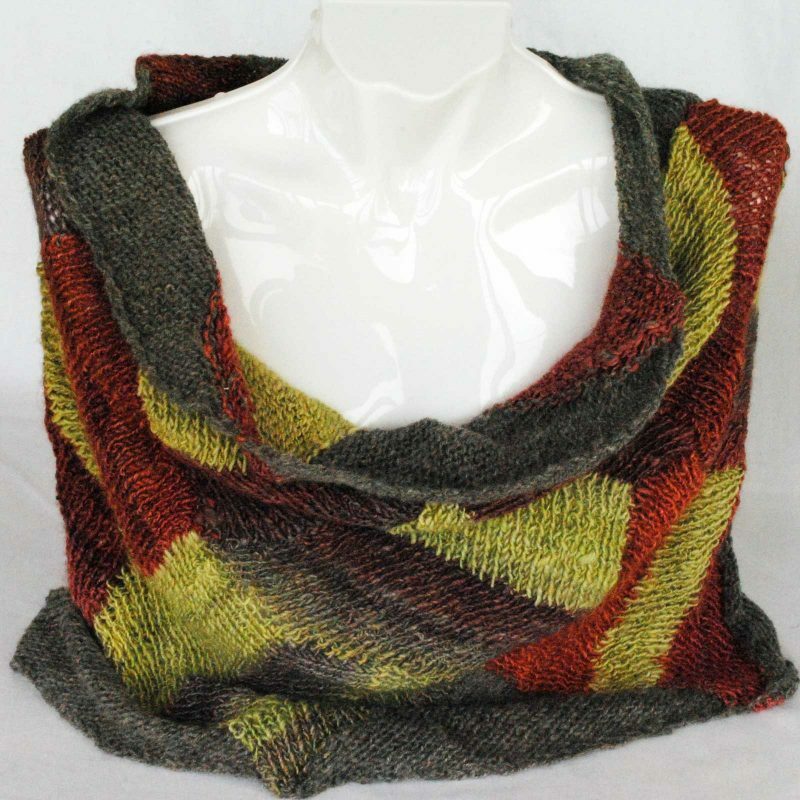 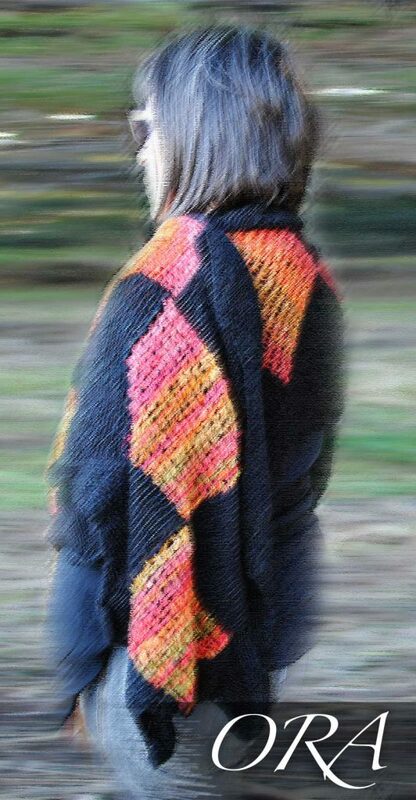 The colours of the ORA Signature Yarns complement perfectly the autumn and wintery tones that can be worn with this cowl.